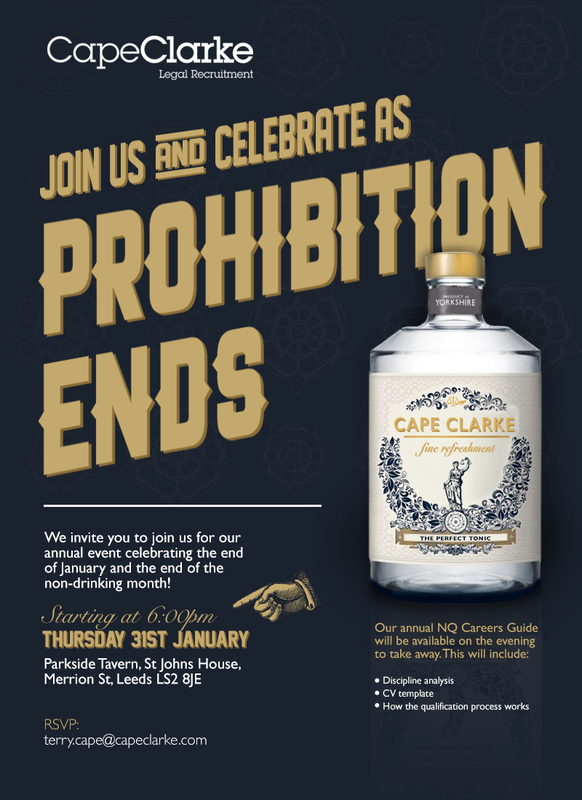 CapeClarke Legal Recruitment would like to invite you to celebrate the end of dry January with our 7th annual Prohibition Ends party! This event has been well attended each year and everyone has a great time, particularly after the pain of a long, dreary January! This year’s party is taking place on Thursday 31 January at Parkside Tavern on Merrion Street. It is FREE to attend for all trainee solicitors, paralegals and qualified solicitors up to 5 years PQE. As always, there will be plenty of drinks to wash away the misery of January and lots of pizza and nibbles to soak up that alcohol!